Perfect for a car enthusiast. Engine tuning and remaps spread over 4 monthly payments. Five star remaps and customer service. 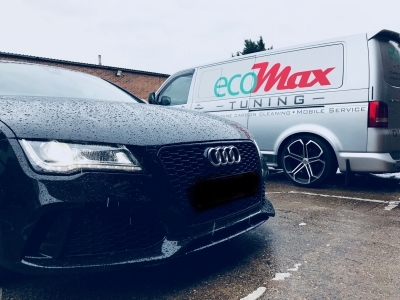 Remaps Peterborough from the experts at ecoMax tuning. Experts in vehicle remapping & providing the optimal performance for your vehicle. All of the remaps we write and install are individually customised to your car and your engine, providing the increase in performance and economy that your vehicle is truly capable of. We pride ourselves on delivering the best quality remaps in the industry and are devoted to giving our customers a five star service before, during and after the remap. That’s why we can guarantee that you’ll be smiling ear to ear once you’ve chosen ecoMax. Hours – Mon to Fri 9:00am til’ 5:30pm. Saturdays on Request. Closed on Sundays. Due to the nature of the business, we recommend getting in contact before coming down to see us. ecoMax tuning was developed by drivers with a shared passion within the car community. We wanted to provide an exceptional service to people who care about their cars. Given our own dedication to vehicles and their performance, we understand that having yours remapped is not a decision you’ll be taking lightly. We’ve got a pay monthly scheme available too. Done via direct debit, everybody is pre-approved. Schedule your payment over 4 equal monthly payments to ease the pocket.